KAMPALA -Ugandans living with HIV and Aids have every reason to smile after government rolled out a new generic version for the most advanced drug against the disease. 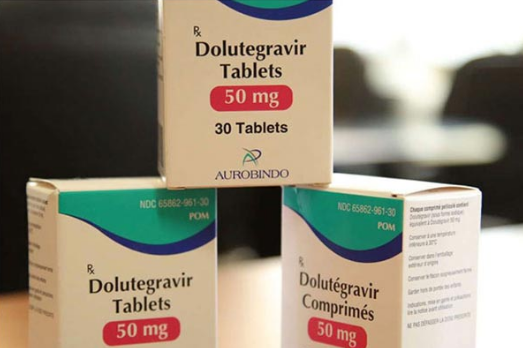 The drug; Dolutegravir (DTG) is the anti-retroviral drug of choice for those living with and have resisted the first line of anti-retroviral drugs (ARVs) drugs. This becomes the first time People Living With HIV patients in Uganda will have access to the more affordable and free version of the treatment. Dr Joshua Musinguzi, the AIDS Control Programme manager at the health ministry, told the press 1 September that the new drug [DTG] has already been dispatched to all district health facilities and would be administered starting this month. Dr Musinguzi was presenting a report entitled; Implementing a public health response for HIV epidemic control in Uganda during the monthly ministry of health media breakfast briefing in Kampala. “We have already sent the drug to district facilities across the country and we hope to roll out the treatment this September and I want to tell you that DTG drug achieves faster viral load suppression and is less prone to resistance,” said Dr Musinguzi. He said the ministry of health has already started a training of trainers in Entebbe who will later train other caregivers at every district on how to use the drug. He explained that dolutegravir would not be prescribed to HIV–positive women seeking to become pregnant and those who are not using long-term contraception. Dr Musinguzi added that the ministry reached a decision to phase out adult first-line HIV treatment combination TLE (tenofovir-lamivudine-efavirenz) in favour of the more effective medication with dolutegravir but that this will be done in phases. Dr Musinguzi explained that the drug will be taken together with another combination of tenofovir and lamivudine and is expected to reduce the burden of swallowing multiple pills for people who are on one same treatment for a long time. Dr Nelson Musobo, the Uganda Aids Commission Director General said the target of government and ministry is to achieve the United Nation’s programme on HIV/AIDS in 2013, 90-90-90 as a set of goals. He explained that by 2020, 90% of people who are HIV infected will be diagnosed, 90% of people who are diagnosed will be on antiretroviral treatment and 90% of those who receive antiretroviral will be virally suppressed. He said DTG will be available for free in public hospitals and select private facilities across the country and that it has fewer side effects on users and can improve, prolong the lives of tens of thousands of patients, who suffer adverse drug reactions and resistance to other treatments. Dr Musoba explained that the 90-90-90 strategy is meant to get the HIV epidemic under control and is based on the principle of universal testing and treating. He revealed that Uganda is making a good progress towards the 90-90-90 targets, with 74% of the people aware of their status, of which 89% are on HIV treatment and 60%whose viral load has been suppressed. Dr Musobo emphasized the need for enhanced surveillance, monitoring drug-resistance prevention efforts by national HIV treatment programmes to enable Uganda to fight out HIV/Aids by 2030. He said the ministry has developed a new initiative to accelerate the fight against HIV that includes; Engaging men, rolling out test and treat, consolidating mother to child transmission, ensure sustainable funding and ensure there is coordination with all stakeholders in the country. Where are we in the HIV fight? The drug is sold under the brand name Tivicay that belongs to a class of HIV drugs known as Integrase, inhibitors, which block an HIV enzyme called integrase. And blocking the enzyme helps prevent HIV from multiplying, thereby reducing the viral load [the amount of HIV in the body].